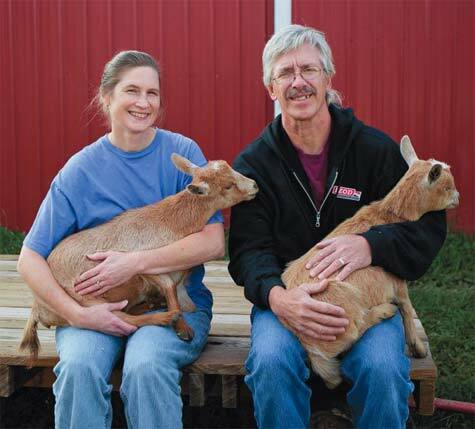 Welcome to our farm, what started out as 2 goats and 2 llamas has grown to more than 350 goats and 12 llamas with our dairy Caprini Creamery NOW OPEN offering goat cheese. 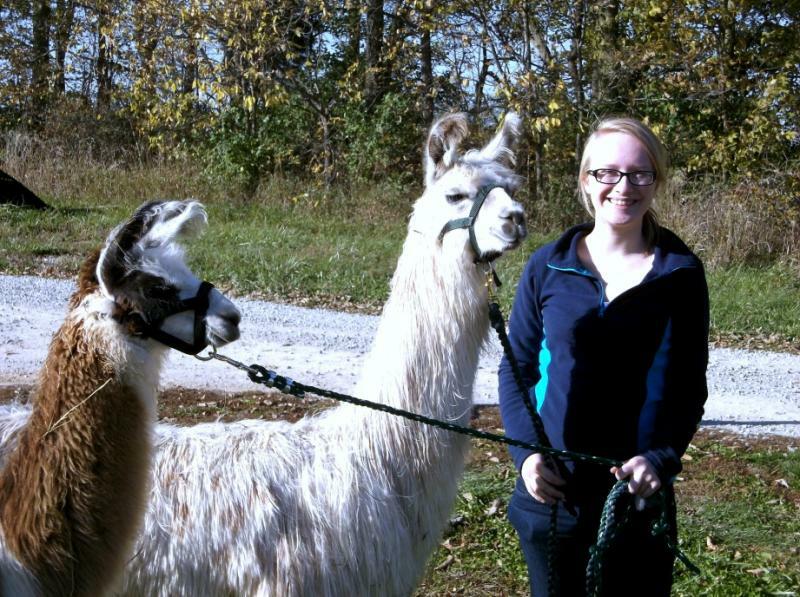 Jess with her buddies Social and Grady. Checkout our Facebook Page for updates on the Farm and Creamery! We purchased 57.5 acres in January 2007 near Spiceland Indiana. We rented the land for soybeans in 2007 and in the fall we began to develop the farm. The first barn was built in the winter of 2007-08. We planted pastures and trees in Spring 2008 as well as planned for construction of the other barns and house. 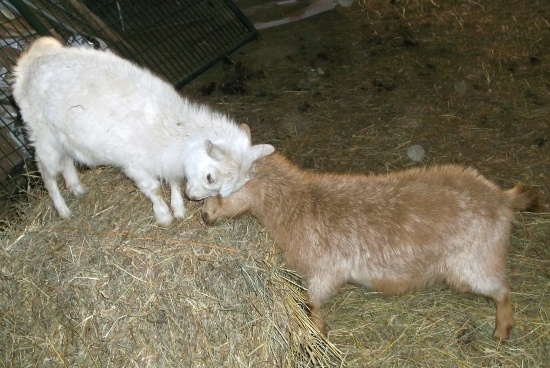 Kristy spent a lot of time researching goat cheese operations and taking classes on the art of cheesemaking. In the fall of 2008 we built the shell of the dairy and the buck/stud barn. We cut and baled hay from the farm as we finished the plans for the house. 2009 was full of excitement. We were the general contractors and built our house! The house was completed in time to move in just before Christmas. The animals moved in around the same time. 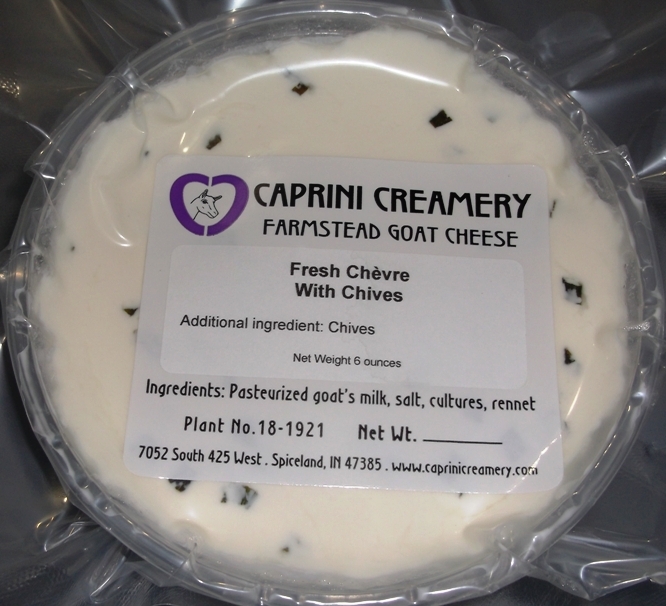 In August we will celebrate our 6th anniversary as a State Licensed Goat Dairy making milk for our cheesemaking operation, Caprini Creamery.